A Suffolk Superior Court yesterday convicted Deonarine Ganga, 31, of first-degree murder for the shooting death of Joey DeBarros, 21, in a fit of rage over a traffic-related argument on Gallivan Boulevard in April, 2017, the Suffolk County District Attorney's office reports. Read more. A Dorchester Municipal Court judge today set bail at $100,000 each for two men charged with dragging a third man a half mile down Gallivan Boulevard with their car at speeds of up to 50 m.p.h. Friday night. Read more. UPDATE: High bail set in Dorchester dragging case. A teenager remains in critical condition at a local hospital tonight after a robbery Friday night that ended with the robbers closing their car window on his arm, which kept him trapped outside the car as they sped down Gallivan Boulevard at a high rate of speed for several blocks - at one point even blasting through a red light - State Police say. Read more. 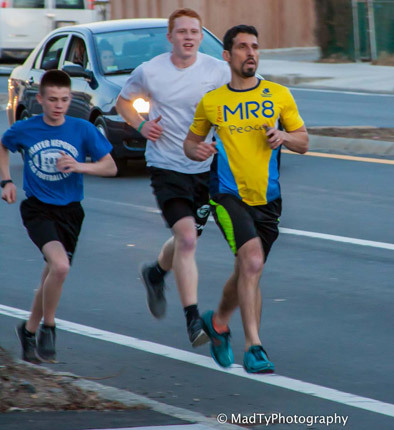 Around 7:30 p.m. on Friday at Magdala Street and Gallivan Boulevard, according to a nearby resident who heard the crash, went to investigate and took the photo - and who is getting tired of the crashes there and along that stretch of Gallivan in general. The Santander Bank branch at 780 Gallivan Blvd. was held up around 3:10 p.m. by two young white men in hoodies, both 5'7" or 5'8", who ran up Gallivan towards Hallet Street - based on the money with an exploded dye pack police found on Clover Street. One suspect, in a black hoodie, wore a surgical mask. Sean Ingram, 64, had bail set at $500 today at his arraignment on charges of OUI, second offense, leaving the scene of a property-damage collision, assault with a dangerous weapon (motor vehicle) and resisting arrest for an incident yesterday on Gallivan Boulevard in Dorchester, the Suffolk County District Attorney's office reports. Read more. Shortly before 1:50 p.m. at Florida and Shepton streets, although she managed to make her way to Dorchester Ave. and Gallivan Boulevard, where a police officer found her and rushed her to the hospital. The homicide unit was called in because of the severity of her injuries. WBZ talks to the family of Joey DeBarros, who was shot to death in front of the McDonald's on Gallivan Boulevard yesterday, the apparent victim of a road rager with a gun. UPDATE: WBZ reports it might have been road rage. Around 4:15 p.m. outside the McDonald's at Gallivan Boulevard and Granite Avenue, possibly in a drive-by. Boston Police report the man was taken to Boston Medical Center, where he was pronounced dead. He is Boston's seventh murder victim this year, and Dorchester's fifth. See it larger. Photo by Gavin Schoch. A multi-car crash around 9:45 p.m. on Gallivan Boulevard at the trolley bridge left one car in flames, several people possibly injured and the road shut. In front of the fire station. The BPD homicide and fatal-accident reconstruction units have both been called in. 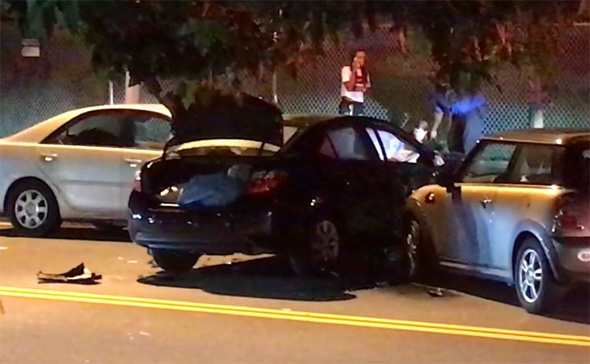 State Police report a woman rushing across Gallivan Boulevard at Milton Avenue to catch a bus was hit by a car around 10:30 p.m. Read more. For the second time this month, would-be Register of Deeds Doug Bennett has pissed off an elected official, this time state Rep. Dan Cullinane (D-Dorchester). Cullinane posted photos yesterday that appear to show the perennial candidate tearing down a Cullinane sign and then standing on it as he puts up one of his large hand-made signs on a Gallivan Boulevard resident's fence. Read more. State Police report a collision between a motorcycle and an SUV around 11 p.m. on Sunday at Gallivan Boulevard and Adams Street left the motorcyclist dead. Read more. The FBI reports it is looking for a guy in a camo hoodie who stuck up the Santander Bank branch at 780 Gallivan Blvd. on Oct. 21 - a few days after he apparently also robbed a bank in East Boston. Read more. MadTy watched a 5k in honor of Martin Richard along Gallivan Boulevard today. Tons of snow hauled away on Gallivan and Morton last night. Huge improvement on roads! Commute yesterday Dot to JP 1.75 hrs, today 28 min. UPDATE: Max found OK, tied to a post in Quincy. This poor dog is Max. He was taken from the corner of Adams Street and Gallivan Boulevard. The owner secured him to a pole as he had in the past to run into the store. and that is when Someone took him . If you were in the area from 8:00pm- 9:00 pm last night and remember anything please contact Boston Police. The family is obviously devastated.